New ListingALL Brass HO Bridge 104ft with track bed fitted. 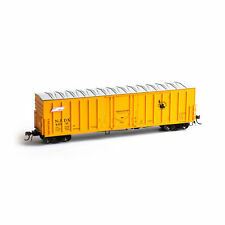 New ListingOntario Northland ONR Lot of 3 HO Boxcars in chevron scheme. A must see! New ListingRoco 04460S Insulated rail connector. Look! New ListingAtlas #842 Lot of 2 bumpers. Unopened. Code 100. Look! 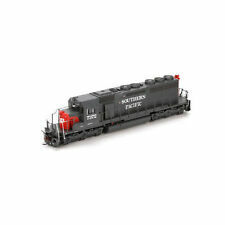 Very nice and hard to find Marklin HO scale steam locomotive. It was tested and it runs well and it lights up too. I-12 Caboose. Accurate HO scale model of the prototype Caboose. Both foam and box are in very good condition.Very nice model but, at this point, I can't use it. by Oriental Limited. Baltimore & Ohio. PJsTrainShack has now been in existence since 2005. No warping, no coming apart. No falling out windows! Built Up Weathered. Why You should buy a pjstrainshack building These structures will last and continue to look good as long as your own them. PJsTrainShack has now been in existence since 2005. No warping, no coming apart. No falling out windows! Why You should buy a pjstrainshack building Newly Built. These structures will last and continue to look good as long as your own them. Kibri HO scale Kit B-8200 Office; building is new, unbilt, mint condition in box, of vintage 1970 to 1990 possibly. Measures approximately 11.5 x 3.75 x 4.25 inches. This kit is no longer in production. Shrink wrap has factory label in corner (see photo). Shipped FREE in the USA ONLY with USPS Priority Mail. Other than these changes the car is complete with no missing or broken parts. W i t h a l i t t l e weathering i t should b e o k. I didn’t e v e n n o t i c e i t t i l l I t o o k t h e p i c t u r e s. Lenses for headlights air hoses etc. T h e p a i n t l o o k s a l i t t l e f u n k y i t m a y h a v e b e e n a n undecorated u n i t a n d a l e s s t h a n perfect p a i n t j o b a d d e d.
Caboose is in excellent condition but not in its original box. Couplers not included. I will combine winning lots if feasible. I will resolve ANY PROBLEMS. HO Scale Walthers. PJsTrainShack has now been in existence since 2005. No warping, no coming apart. No falling out windows! Painted and Weathered. Geo Roberts Printing Warehouse. Why You should buy a pjstrainshack building. Why You should buy a pjstrainshack building PJsTrainShack has now been in existence since 2005. No warping, no coming apart. No falling out windows! These structures will last and continue to look good as long as your own them. Vintage Akane Brass OH Locomotice Diesel And Coal Car. Condition is Used. Shipped with USPS Priority Mail Flat Rate Envelope. Overland #3828 wood side bay window caboose. Owner wished to keep it factory sealed. Box is in excellent condition. Couplers not included. Ho Athearn Genesis BNSF SD70ACe With Dcc & TSUNAMI sound . Condition is good condition and lightly weathered. Everything else works as it should. Programmed to cab # . Comes with orginal paperwork. The wieght inside the car is loose but the top was glued on so I can’t do anything about that issue. Other than these changes the car is complete with no missing or broken parts. Alco FA-1 A/B Set With Proto-Sound 3.0 - Reading. Operates On Code 70, 83, & 100 Rail Curves. Lighted Cab Interior. F13 Idle Sequence 4. F14 Idle Sequence 3. F15 Idle Sequence 2. F16 Idle Sequence 1. On-Board DCC Receiver. SOHO & Co. Box is in good shape. Couplers not included. Up for sale is a Athearn custom painted SD40 CGW #403 it is new except it has been painted. This unit has been sitting in a display case. The unit is DC but DCC ready. It has a lot of details add to it. Chesapeake and Ohio coal hopper with coal load. Condition appears to be new just been laying around. Boxes and worn but not torn. HO scale model trains scale down the full-size railroad world into something that the entire family can enjoy. You can enjoy an HO scale model railroad set as a child that becomes a sophisticated HO scale layout in adulthood. The hobby also brings camaraderie as aficionados convene to admire each other’s trains and help out with their efforts. What is an HO scale model? HO model trains are ones that you can comfortably hold a locomotive or car in one hand without covering it. If you’re able to enclose the HO scale train with your hand, then it’s probably N scale and if you need two hands to hold it, its either O scale or G scale. HO scale miniaturizes the world at 1/87, which makes a human figure about an inch high and an average locomotive about 6 or 7 inches long. The scale is big enough to handle easily and yet small enough that a layout can fit on a tabletop or small room. What should you buy to get started with these railroads? 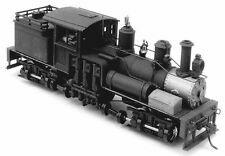 To get started with HO model trains, buy a self-contained set that includes a locomotive, several cars, enough HO scale track to make a loop, and a power pack to run everything. It may also include scenery items like trees, figures, a mountain tunnel, and a station. You can set your layout up on any flat space such as the living room floor or a tabletop. This gives you practice connecting tracks, dealing with electronics, and running trains. Because the setup is only temporary, you’ll also gain experience disassembling and storing your model items. Are there additional HO scale model railroad accessories available? 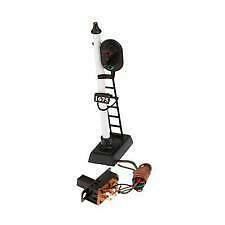 You can create a more permanent layout by setting up on a table or shelf in a spare bedroom or basement. Expand the basic loop by buying more track including turnouts, which are Y-shaped sections that let you divert trains to separate tracks and sidings. You can also increase your set with more HO scale model locomotives, cars, and scenery items. 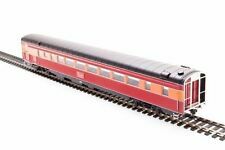 What different themes of HO scale model railroads are available? There are many different themes for HO scale railroads. Some are focused on transporting passengers to different stations, while others centre on carrying freight to factories. If it’s the latter, there are multiple different options for freight, such as lumber, steel, or milk. There are also options based on different eras. Early railroads use steam locomotives, while modern era versions have diesel power. Different model scene accessories are available, such as a station house, forest, ranch, or city.